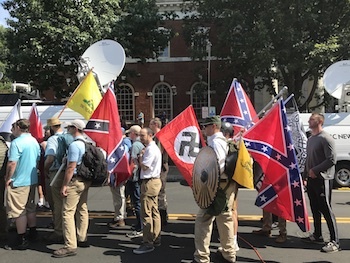 Last August at a rally ostensibly to protest the removal of a statue of Robert E. Lee, “white nationalist” protesters chanted antisemitic slogans while making Nazi salutes in a display of naked hatred against Jews absent any references to Israel. It’s difficult to express relief over anything pertaining to the violence in Charlottesville, VA but for once Antisemitism has been spouted in a direct fashion without any mention of Israel. 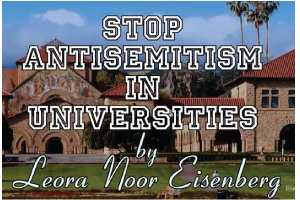 To be sure this is a terrible reminder of a historical trend in that as long as there are Jews in the world, there has always been virulent anti-Semitism even if it is sometimes hidden, shunted away, or disguised, as it has been for much of the past 70 years under the mantle of anti-Zionism. 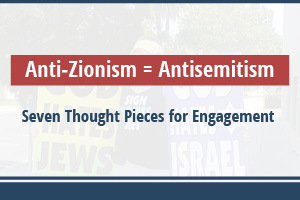 Yet this public mass display of Antisemitism presents an opportunity for many of American’s leading Jewish political leaders to confront and condemn Antisemitism for what it is - disgusting, ignorant, and irrational bigotry. 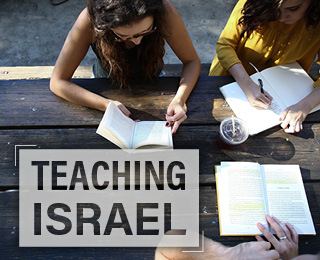 Now is the time for prominent Jewish-Americans such as former Green Party Presidential nominee Jill Stein, who included her support for the Boycott, Divestment, and Sanctions (BDS) movement against Israel as a prominent plank in her campaign platform, and Rebecca Vilkomerson who similarly advocates for the BDS movement as the Executive Director of the Jewish Voice for Peace, to embrace this opportunity to condemn anti-Semitism. The chanting demonstrators in Charlottesville unabashedly displayed their hatred of Jews for being Jews. Those who take issue with Israel’s policies should be the first to raise their voices against this past weekend’s brazen displays of Antisemitism when it was not cowering behind the guise of supporting the Palestinian cause, nor referencing any opposition to what President Jimmy Carter has referred to as the “Apartheid State” of Israel. 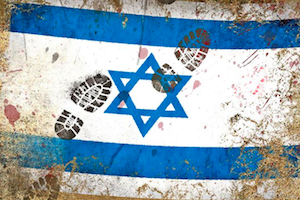 The Jewish people have a history stretching back nearly four millennia that is replete with examples of violence against the Jewish people explicitly because they were Jewish. In the 11th century Crusaders slaughtered Jews in what would become the Rhineland Massacres whose existence was perceived as a threat to Christianity. Jews were thought to be the cause of the Bubonic Plague throughout the 14th century. Hatred against Jews for their Jewishness is nothing new nor should it be surprising, as it has outlasted the greatest empires and it will persist as long as Jews themselves. 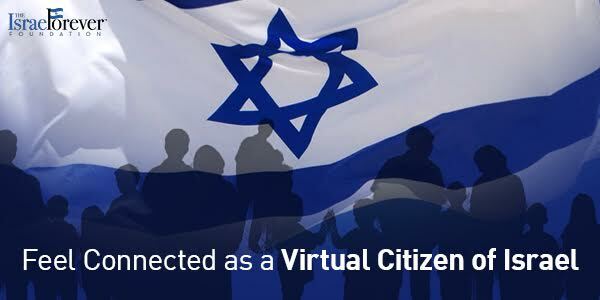 Given the historical reality that all things must come to an end, given that every empire, nation, and civilization ultimately gives way to the toll of time, it is not unreasonable to presume that the United States and its sanctuary for the Jewish people will not last forever. Perhaps it will last for centuries, as I certainly hope it does, but owing to the propensity of the peoples of the world to consistently direct violence towards history’s most convenient scapegoat, it is necessary not only to fight Antisemitism every time it rears its ugly head but it is also necessary to support Israel’s right to exist as a Jewish State as the Jewish Peoples’ ultimate refuge from the guarantee of future acts of anti-Semitic violence. 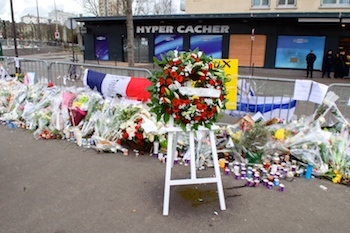 The wreath left outside the Hyper Cacher kosher market in Paris, France, by U.S. Secretary of State John Kerry and French Foreign Minister Laurent Fabius as they stopped across the city on January 16, 2015, to pay homage to the victims of the shootings. 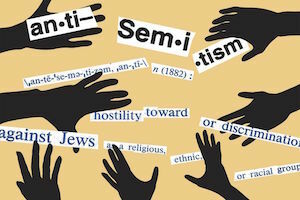 So when violent Antisemitism claims the souls of a rabbi and three young children in France, when a kosher grocery store is targeted in Paris, when three are shot dead at the Jewish Museum of Belgium, when three are killed at Jewish centers in Missouri, and when the Ku Klux Klan believes that their racist sentiments have the implicit approval of the President of the United States and he fails to repudiate that notion, then it is time to acknowledge the persistence of violent Antisemitism and it is time for all of us to speak out loudly and clearly against Antisemitism in all of its myriad forms. Jordan P. Cooper is the host of Public Interest Podcast. He has a long history of public service including being involved in the implementation of Obamacare. He is currently running for a second time as a Democratic Candidate for Delegate. Jordan has a master's degree in health policy from the Johns Hopkins Bloomberg School of Public Health and a bachelor's degree in political science from Vassar College. 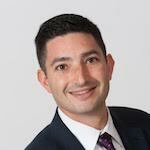 Jordan was born and raised in Bethesda, Maryland. Email him directly by clicking HERE.